A new solution wants to end the process of building custom connectors for Microsoft Azure Logic Apps and existing legacy infrastructure. Java and .NET interoperability provider JNBridge announced the R&D Showcase Kit, a new solution designed to solve interoperability issues between Azure Logic Apps and existing JMS-based messaging infrastructure. 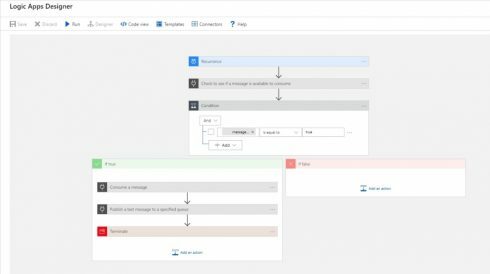 Azure Logic Apps enable business process orchestrations to run in the cloud as well as interact with on-premises infrastructure by redirecting data to one or more destinations. This is possible through connectors between Logic Apps and existing legacy infrastructure. While Microsoft provides connectors for their products and third-party solutions, in order to connect to things like JMS message brokers, enterprises are forced to build their own custom connections, which can be time-consuming and complex, according to JNBridge. In addition, the company noted that JMS message brokers are a standard mechanism for enterprise IT infrastructure. The newly announced R&D Showcase Kit aims to address this problem by providing detailed instructions on how to properly build a customer connector for sending and receiving JMS messages. In addition, it will include sample codes for users. The kit also leverages the JNBridge JMS Adapter for .NET, which can help the process of building customized Azure Logic Apps connectors for JMS.